From Los Angeles we went to Lassen Volcanic National Park at the northern end of California. It was a 620-mile drive, with winding and twisting road toward the end, but it was well worth it. Starting in 1914 and over seven years, many volcanic eruptions occurred in the area. Almost a hundred years ago, in May 1915, a series of major eruptions, seen from as far as 150 miles away, created much of the volcanic landscape as it is known today. Lassen was declared a national park in 1916. Not as well known as other national parks, Lassen does not have many visitors despite its beautiful mountain scenery with lakes, tall Ponderosa pines and cedars, and lots of hiking, boating, and mountaineering opportunities. In the winter, when an average of 55 ft of snow falls on Lassen peak, most of the park is not accessible by car, and many of the volcanic features such as fumaroles, mud pots, boiling pools cannot be easily visited. The main roads sometimes do not get completely cleared of snow until June or even July. However, people do go there to ski, walk on their snowshoes, or ride on snowmobiles. This year the snowfall was lighter than normal, but we still saw plenty during the one day we were there. 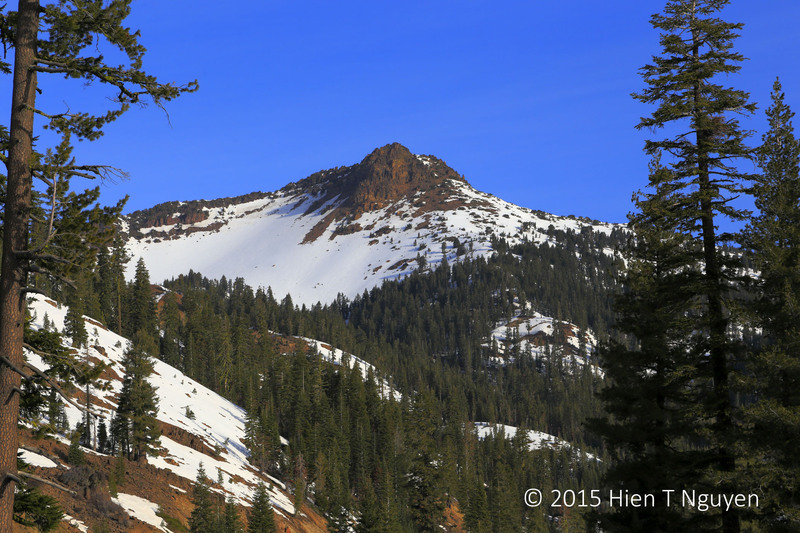 Lassen Volcanic National Park – Mount Diller from the south end of the park. 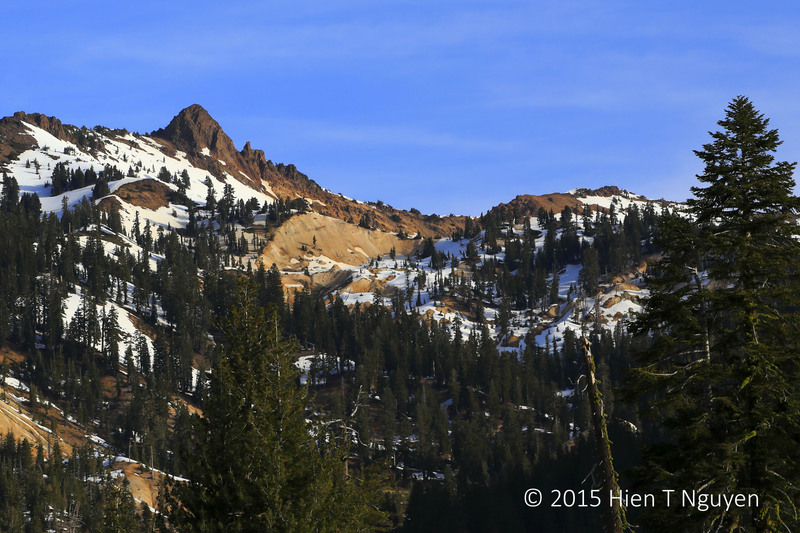 Lassen Volcanic National Park – Pilot Pinnacle from the south end. 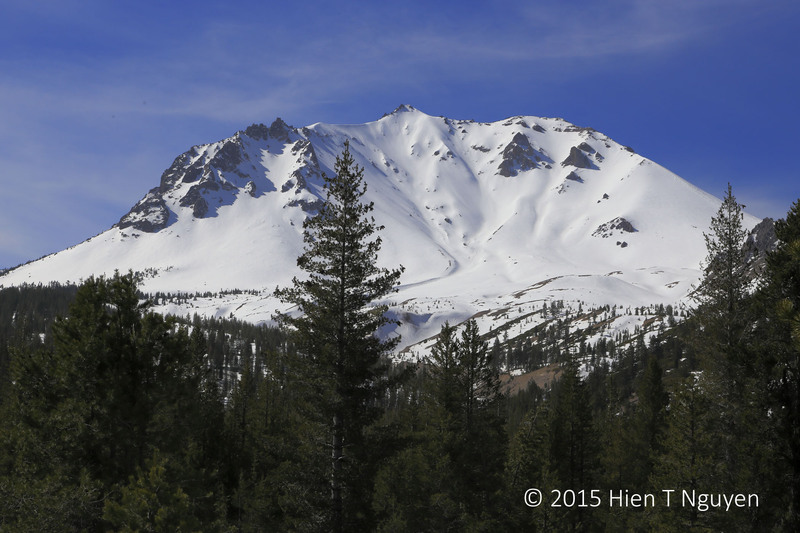 Lassen Volcanic National Park – Lassen Peak from the north end of the park. 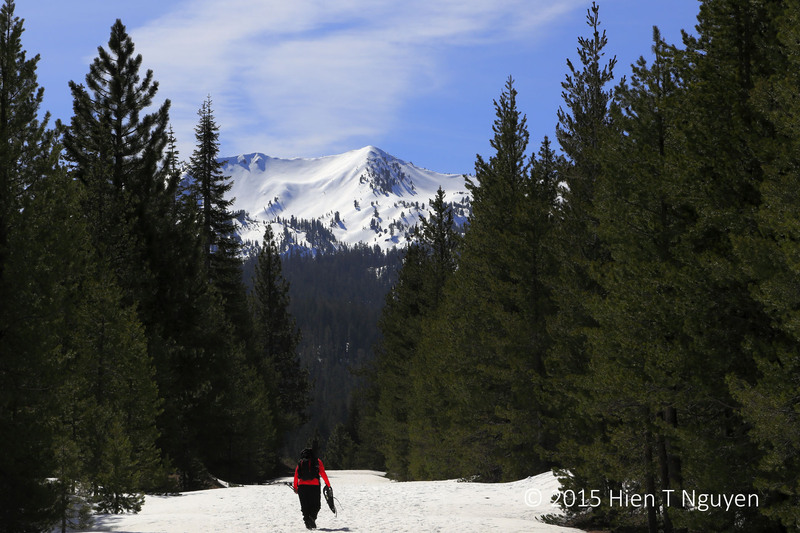 Lassen Volcanic National Park -Snowshoer walking toward Broke Off Mountain, from north end of the park. 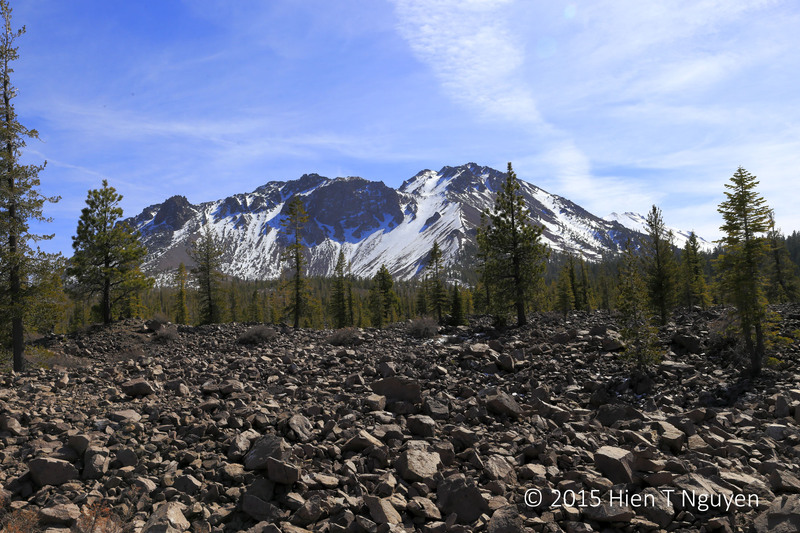 Lassen Volcanic National Park – Devastated Area and Chaos Crag mountain. The names say it all. 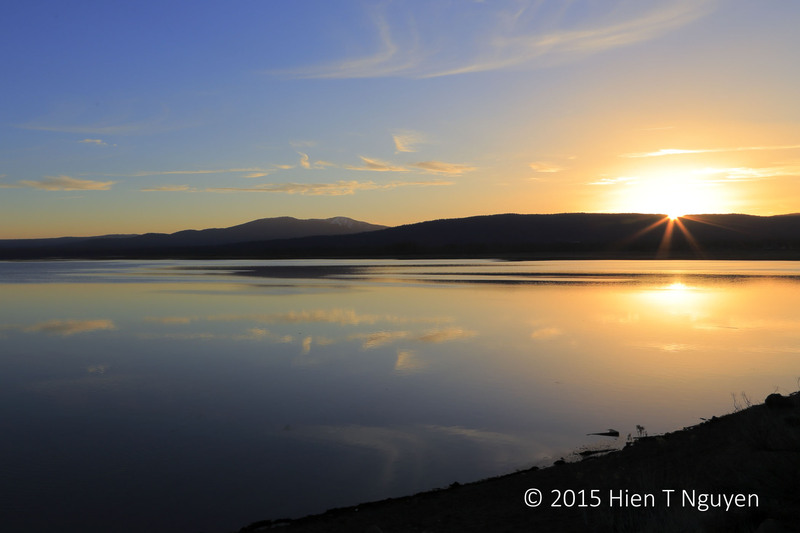 Lassen Volcanic National Park – Lake Almanor south of the park and next to the town of Chester.